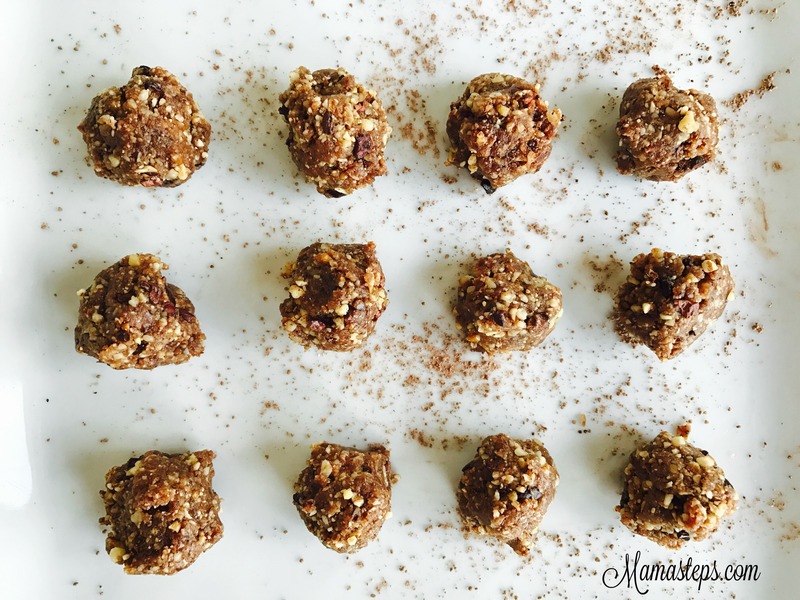 I first experimented with making raw truffles (which are essentially nuts, dates and cacao powder) during the first Mamas on a Mission nutrition challenge. Since then, I’ve loved testing out different combinations, usually all involving cacao. 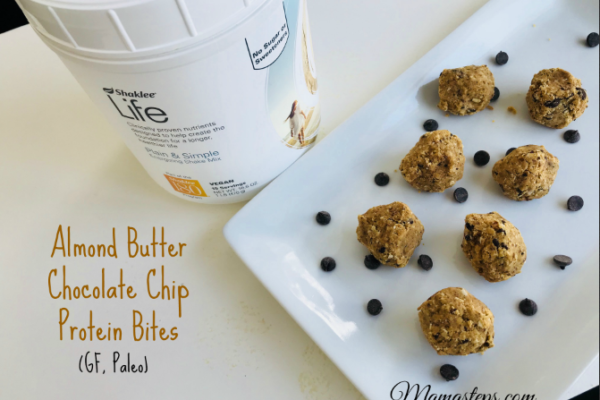 They’ve become my favorite clean dessert or afternoon snack whenever I’m in need of a pick-me-up. This particular one was inspired by Flavor God’s chocolate donut seasoning, which is a heavenly blend of unsweetened cocoa, cardamom, cinnamon and nutmeg that somehow miraculously tastes like a CHOCOLATE DONUT (yep, you read that right 🙂 ). 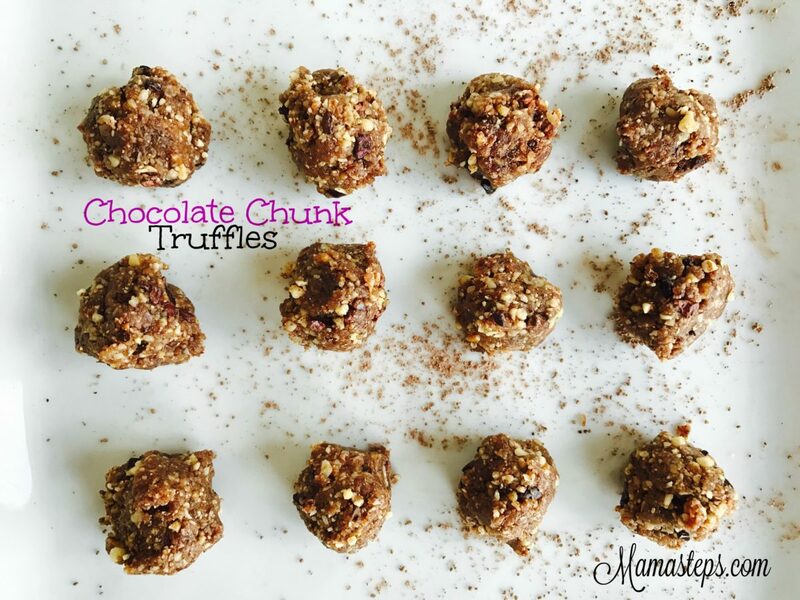 So this, my fellow chocolate-lovers, is a recipe that’s been tested (and approved) especially for you. 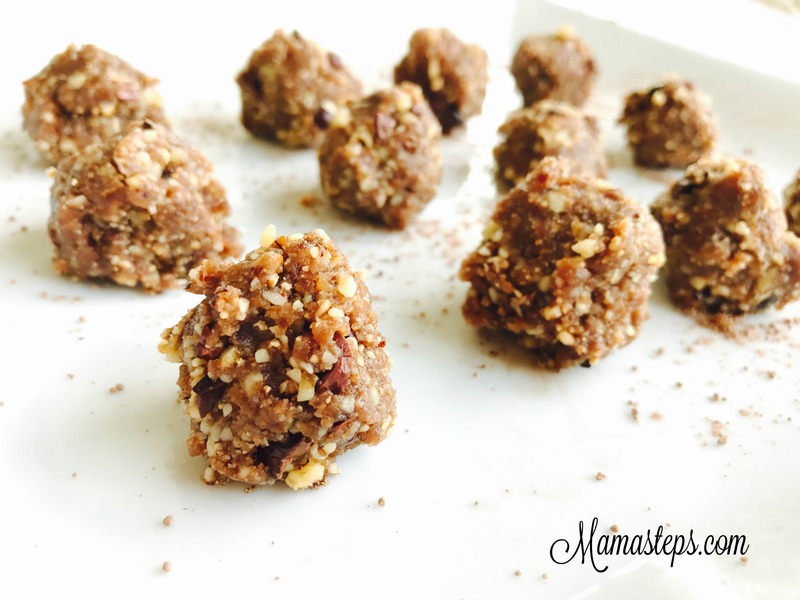 In a food processor, blend the six dates and coconut oil until it’s a smooth paste. Add in the walnuts, pecans, cacao nibs and cacao powder (or “chocolate donut” seasoning) and grind until fully mixed. 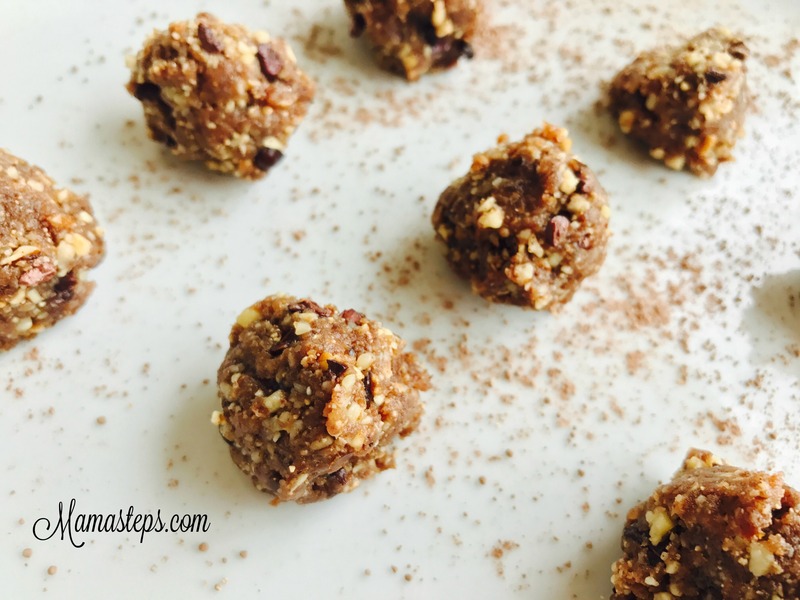 Roll the mixture into bite-size balls and sprinkle with the reserved cacao powder or seasoning. Refrigerate for best results. *This post contains affiliate links which allow us to earn a small commission and help keep the blog running at no extra cost to you. However, we never endorse products that we ourselves don’t believe in, use and love!